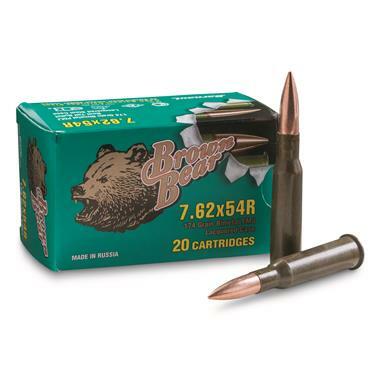 Brown Bear® 7.62x54mm FMJ 174 Grain Ammo. Brown Bear, 7.62x54, FMJ, 174 Grain, 240 Rounds is rated 4.8 out of 5 by 6. Rated 5 out of 5 by Lincoln Slinger from Bear is the Best Great shooting ammo and the best bargain in the chamber. Rated 5 out of 5 by GrumpyGrampa from Easy ordering Couldn't resist a free shipping deal.Items were packaged very well. Rated 5 out of 5 by Scott from Shoots well at a great price! I put about 100 rounds through my M44, not a single misfire, nice healthy kick and fairly accurate. As always, fast shipping and a great product at a great price from Sportsman's Guide! Rated 5 out of 5 by STEPHEN from I haven't. had a chance to use the ammunition yet. I know that the ammunition is good quality. 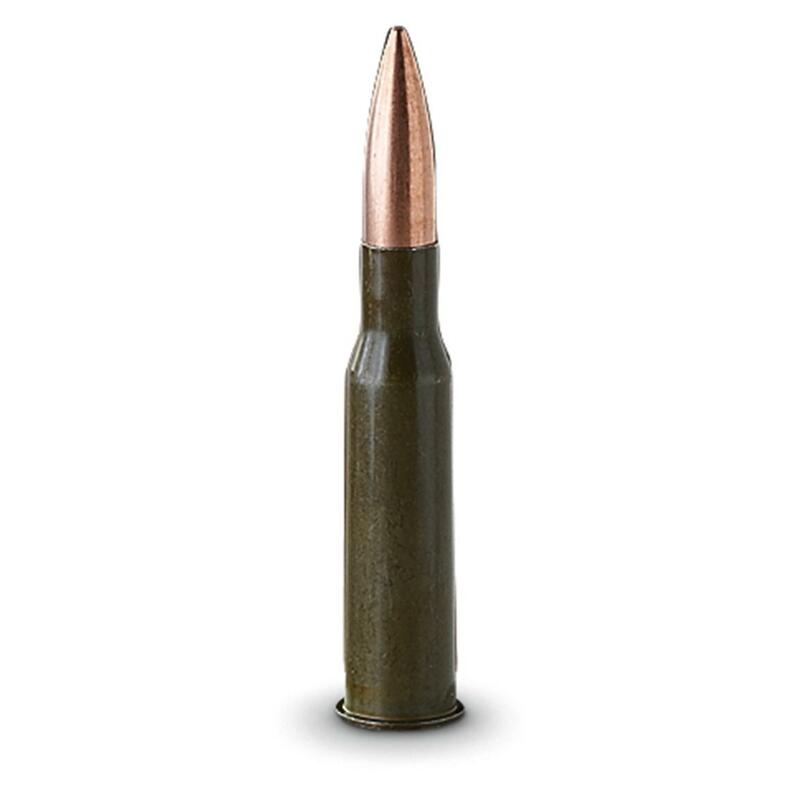 Rated 5 out of 5 by R.W from Excellent quality ammo for the Mosin Nagant M91/30 at a very reasonable price. I'll definitely be purchasing more in the not too distant future. Rated 4 out of 5 by TOM from Item runs much higher at my local gun store. Lower price gets me away from old stock with corrosive primers.